Ensuring that patients are comfortably positioned during treatments can help reduce stress and allow for a more productive session. 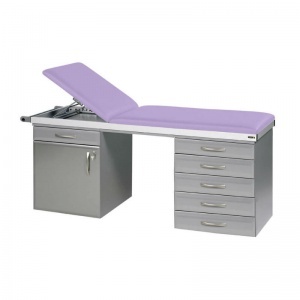 With the Sunflower Medical Lilac Two-Section Specialist Treatment Couch with Cupboard and Six Drawers, both the adjustability and increased levels of security provide an ideal medical couch for both you and your patients. The backrest of the Specialist Treatment Couch can be adjusted quickly and easily to suit the needs of each individual patient. 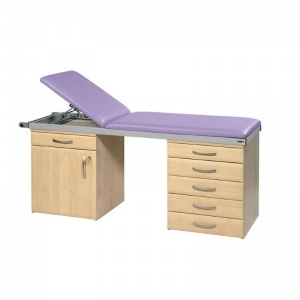 The multi-position self-locking section helps to ensure that patients are positioned both conveniently and comfortably. 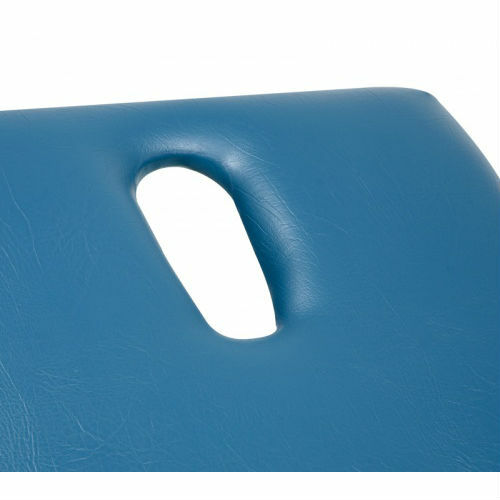 Increased support is also provided for patients with the inclusion of the 65mm deep contoured vinyl upholstery. As the vinyl is also anti-bacterial and anti-microbial, it can be wiped down in between use. 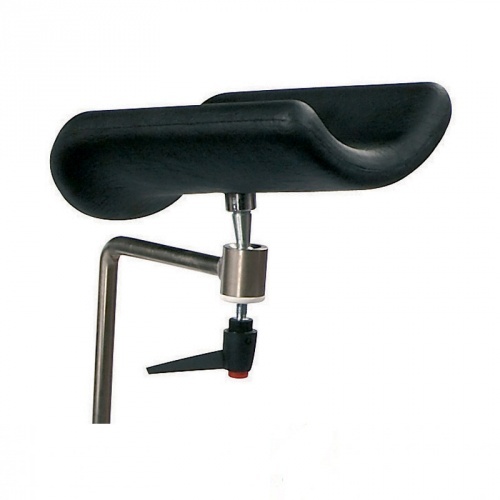 The paper roll holder enables paper rolls (sold separately) to be affixed to provide an added layer between the patient and the surface of the couch, offering an additional method of maintaining good levels of hygiene to ensure satisfying levels of cleanliness. 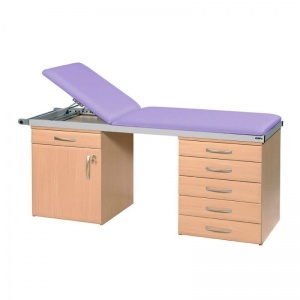 The Specialist Treatment Couch is CE marked, which means that you will have the peace of mind that patients are being treated on a couch that meets legislative requirements. It is also secure for the storage of medical equipment and sensitive documents. 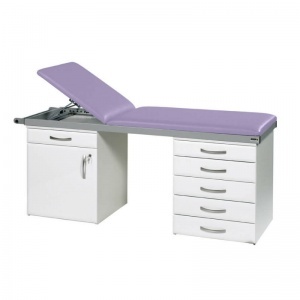 It features six drawers and a lockable cupboard, as well as two pullout work surfaces, providing ample storage space to help ensure everything required for treatments can be kept within easy reach. Please select your desired finish from the drop-down menu at the top of the page. The accessories marked with an * must be purchased alongside the couch as FACTORY FITTING is required. Please tick the required products from the list at the top of the page before making your purchase. This item is manufactured to order, and delivery normally takes place within 3 to 4 weeks by courier. Please contact us if you have any questions about the delivery of this item.